What are the right genetics for grassfed beef cattle? I can't even count the number of times I have been asked, "What are the right genetics for grassfed beef cattle?" Interestingly, the right grassfed genetics are the right genetics whether you want to produce grassfed beef or conventional beef. All cattle need to be able to gain weight on grass and if you get genetics in your herd that can finish on grass then they can finish on anything. This training is so in depth and lengthy that we will finish up next month with this training. Be sure to take good notes while listening. Even better, download the training to insure you receive and act on all of the information. If you follow the principles outlined in this training, you will build the best herd possible and lock in the best possibility of profit. If you DON"T follow these principles, you will struggle in your operation forever! There are only a handful of people that can even begin to talk about this subject with any amount of authority. Don't get me wrong, there are plenty of people that THINK they have the answers, but to what end? Dr. Allen Williams in my opinion is the most qualified person to teach this training. Dr. Allen Williams is founding partner and President of LMC, LLC, an Agriculture & Food Industry consulting firm specializing in enhanced farm and food company sustainability and profitability through values based value chain product development and marketing and also founding partner of Grass Fed Beef, LLC. 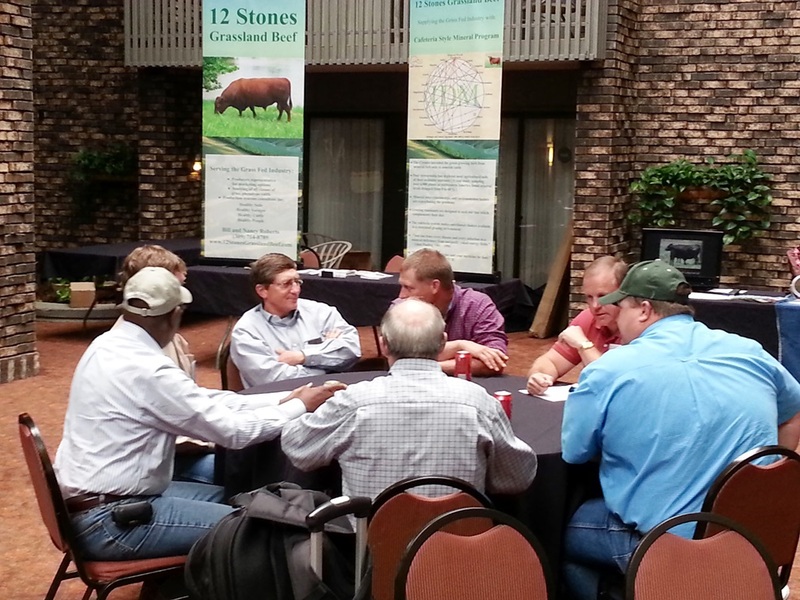 Dr. Williams is deep in discussion with attendee's of the Grassfed Exchange conference. Dr. Williams is a sixth generation family farmer and holds BS, MS degrees in Animal Science from Clemson University and a Ph.D. from Louisiana State University. He spent 15 years in academia in research, teaching, and extension, and has written more than 300 peer reviewed and popular press articles. 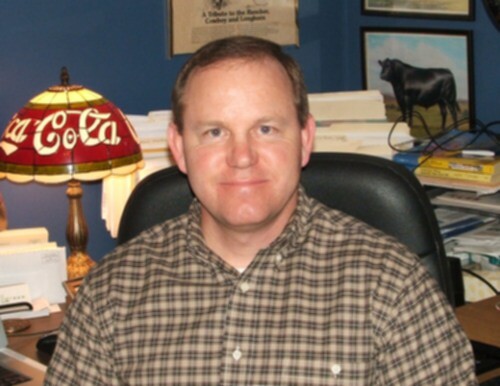 He served as an Animal Science Assistant and Associate Professor at Louisiana Tech University for nine years and as an Extension Beef Cattle Specialist/Associate Professor at Mississippi State University for five years, prior to the formation of LMC, LLC. His expertise and responsibilities have included research and business interests centered on farm and ranch financial analysis, reproductive efficiency, genetic selection, forage/grazing management, embryo transfer, meat science, and live animal carcass ultrasound. Dr. Williams has also worked with the USDA FSIS MPI. In 2000, he left academia and founded LMC, LLC. Since that time, he has worked with more than 3,500 farmers and ranchers in the US, Canada, Mexico, and South America. LMC, LLC also consults with Branded food programs, processors, distributors, retailers, and food service. Allen has authored numerous feasibility studies, business plans, and cash flow projections for the natural and organic food sectors. He has written standards and protocols for a number of branded food programs. Allen has served on numerous boards and national committees, including the National Integrated Resources Management (IRM) committee. He currently serves as Chairman of the Association of Family Farms, Co-Chair of the Grass Fed Exchange, Co-Project Leader of the Pasture Project, Facilitator in the USDA BFRDP EET program, Board of Directors of Mississippi Sustainable Agriculture Network, and Principal in the Farm Food Collaborative. Allen has been an invited speaker at over 400 regional, national, and international conferences and symposiums. Get the information you need to answer the age old question, "What are the Right Genetics for grassfed beef cattle?"